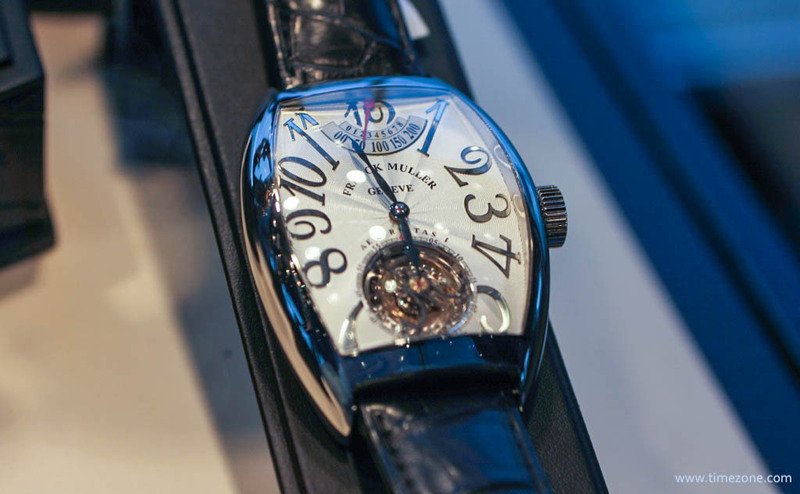 Master watchmaker Franck Muller recently toured the U.S. with a unique collection of complicated wristwatches such as the Giga Tourbillon, the world's largest and most powerful tourbillon; the Evolution 3-1 Tri-axial Tourbillon, perpetual calendar with power reserve indicator; and the Aeternitas Mega 4, the world's most complicated wristwatch with 36 complications and made of 1486 component parts. 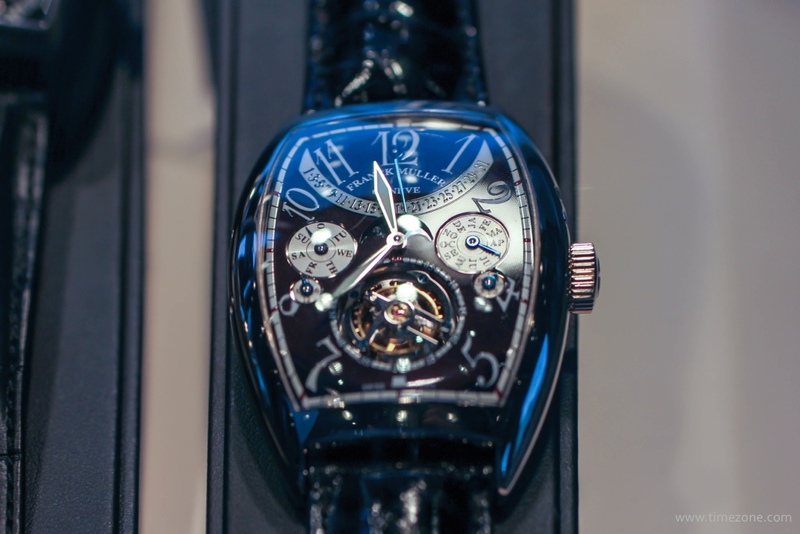 He also introduced his new Vintage Curvex 7-Day Power Reserve with a gorgeous manual wind manufacture movement. 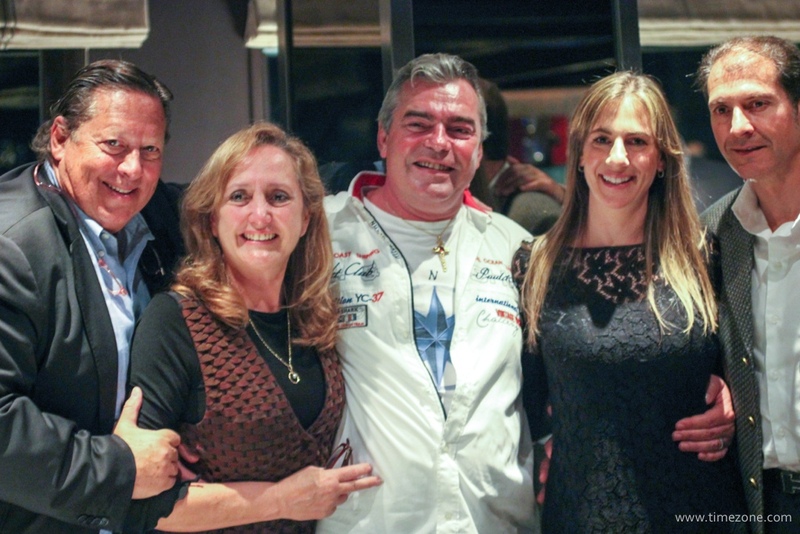 I had the chance to meet Franck Muller during a collectors dinner in La Jolla. Surprisingly, Franck doesn't like interviews. 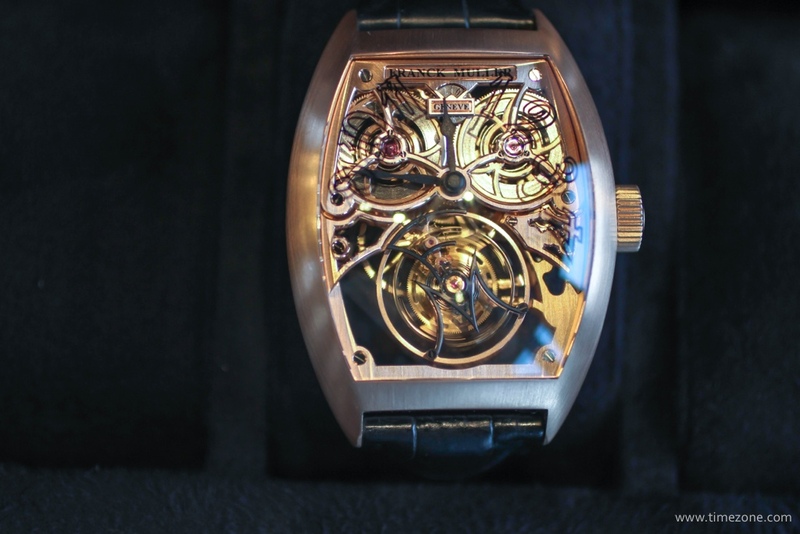 In fact, he was so laid back that all he really seemed to want was to hang out and talk -- and not necessarily talk about watchmaking, and certainly not talk about the watchmaking business. 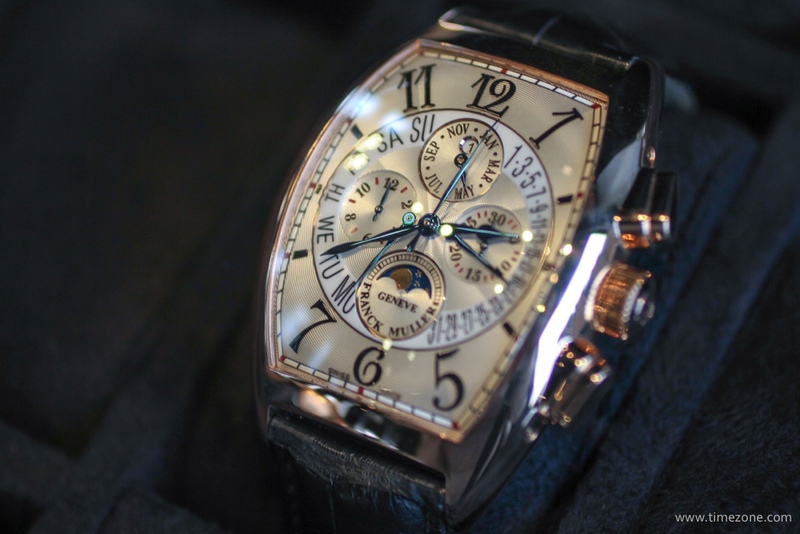 So for a few hours, all I did was hang out with Franck Muller and his friends and glean as much information as I could about this elusive industry figure. 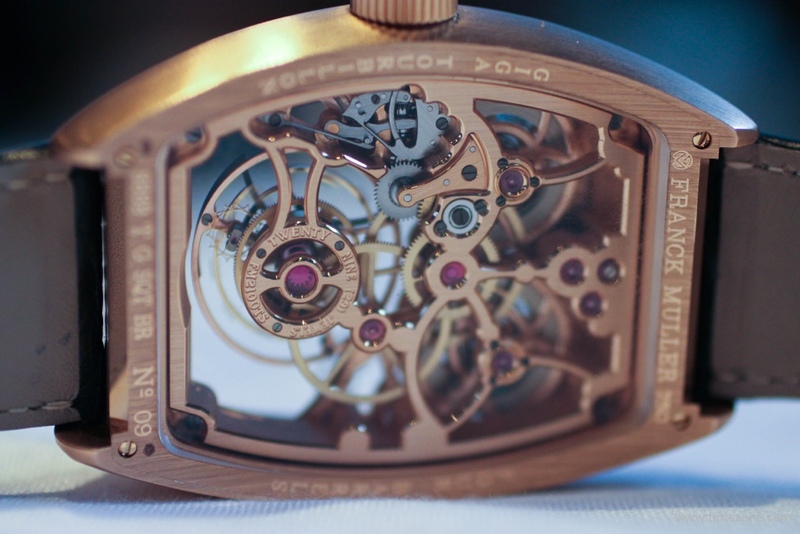 In a nutshell, watchmaking has been very good to the Master of Complications. 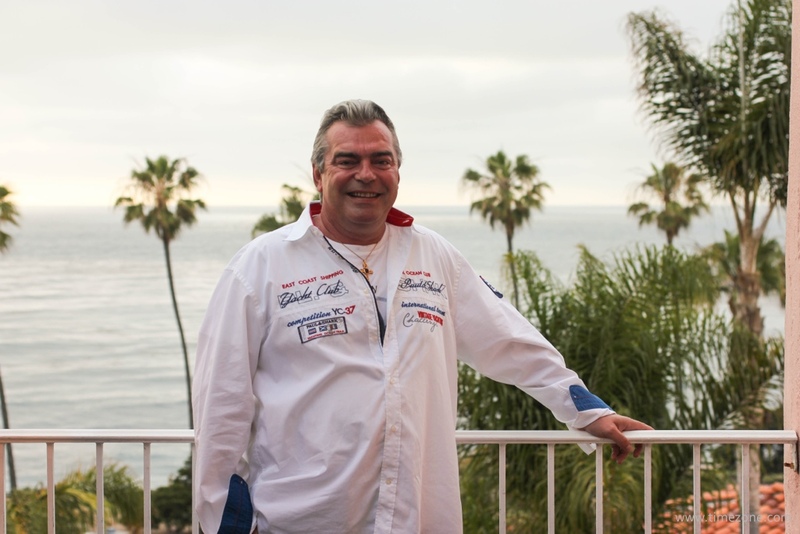 This bon vivant and man of the world was born in La Chaux-de-Fonds in 1958 to an Italian mother and a Swiss-born father. 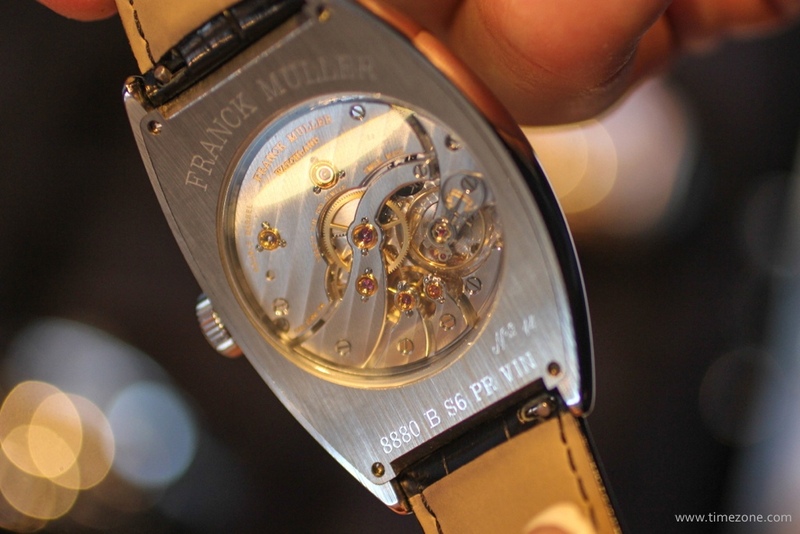 He spent his childhood in La Chaux-de-Fonds and enrolled in the Geneva Watchmaking School at the age of 15. 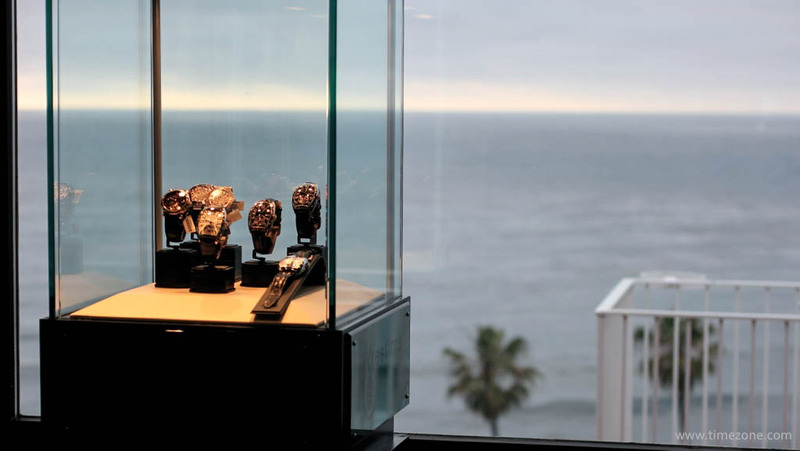 Almost immediately, he was recognised as a child prodigy and, upon graduation, he set up his own workshop and restored some of the most famous and important watches ever made, including restoring watches in the Patek Philippe Museum. 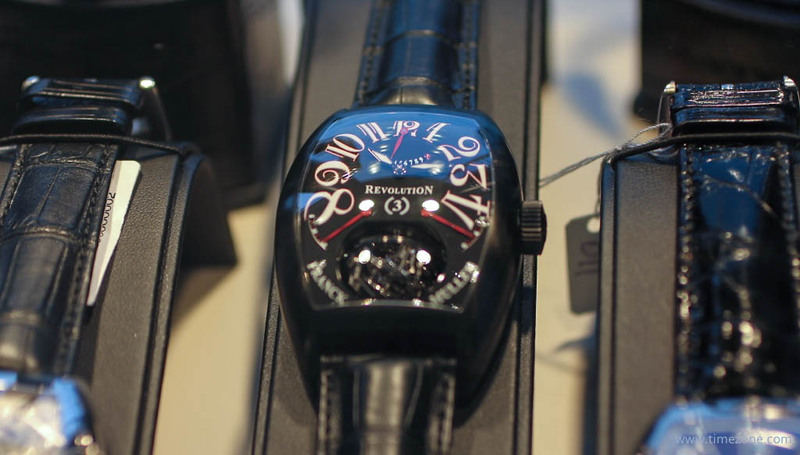 In 1986, he debuted his own tourbillon with jump hour and regulator-type dial. 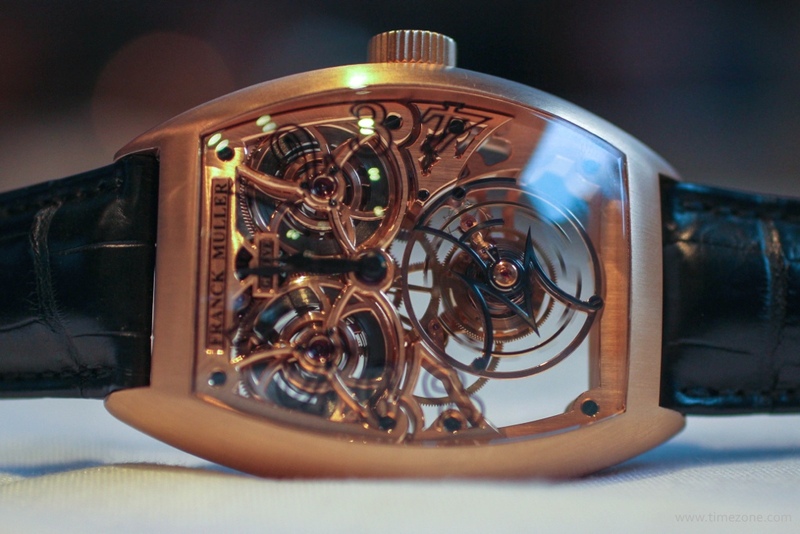 Ever since, Franck Muller has made every type of wristwatch complication, knows everyone in the watch industry and is well beyond trying to impress, or being impressed by, anyone. Today, he resides in Monaco (he's a Monégasque national), works in Switzerland, and spends five to six months of the year at his home in Phuket, Thailand. 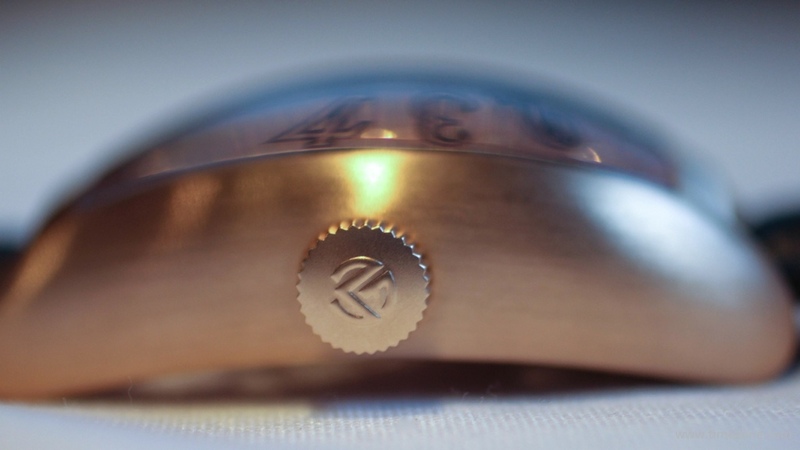 He is a doting father to three children; Fabien, his eldest son graduated as a watchmaker and worked on complications for four years before striking out on his own to craft bespoke golf clubs; Carl, his youngest son is just 11 years old; and his 5 year old daughter Stella is the apple of his eye. 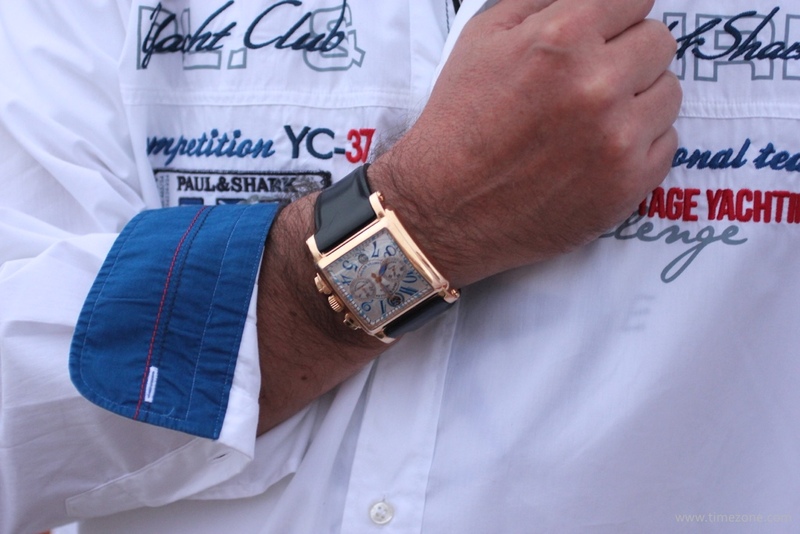 Franck's daily-wearer is a Conquistador Cortez chronograph with blue numerals that remind him of the sea. He loves the ocean and travels via a 45-metre state-of-the-art superyacht that he helped design. 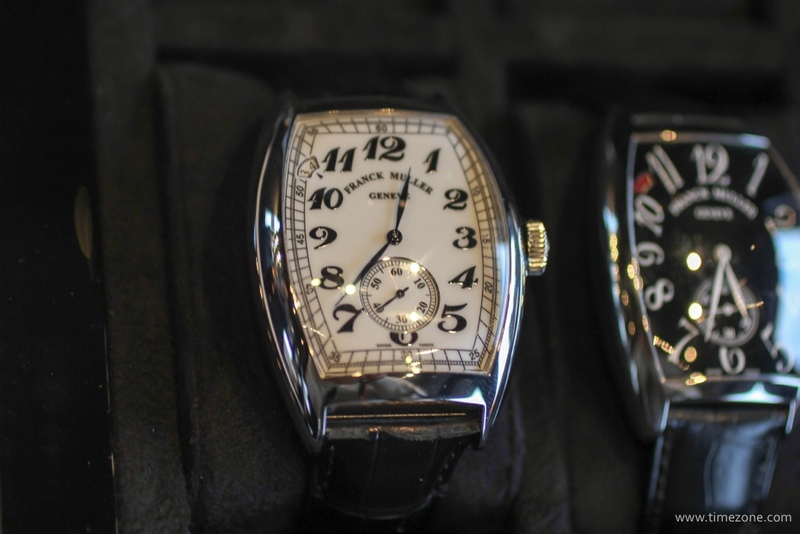 For TimeZone exclusively, his close friend Enrico Imperiali di Francavilla confided that Italy's President Giorgio Napolitano will award Franck Muller with an Order of Merit (Cavaliere Ordine al Merito) for his distinguished career. 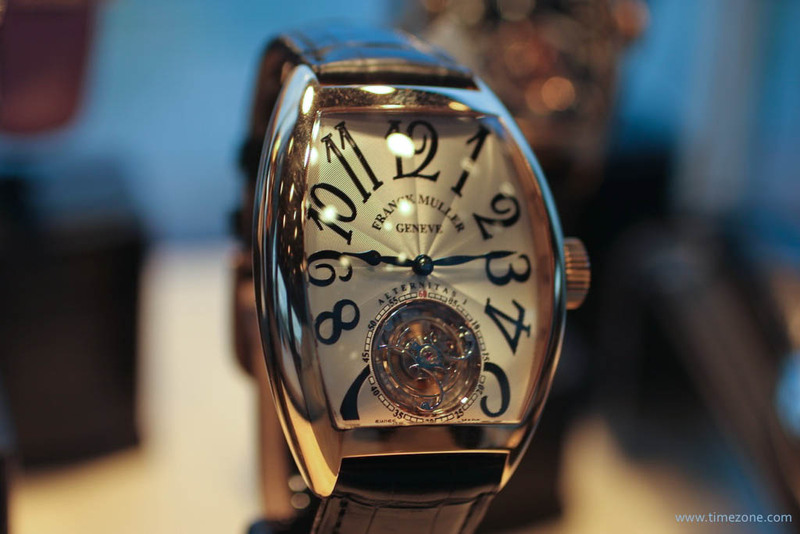 Indeed, together with his partner Vartan Sirmakes, Franck Muller has grown from a boutique brand into a major success with over 500 employees who manufacture 40,000 timepieces annually at 6 production sites in Switzerland. 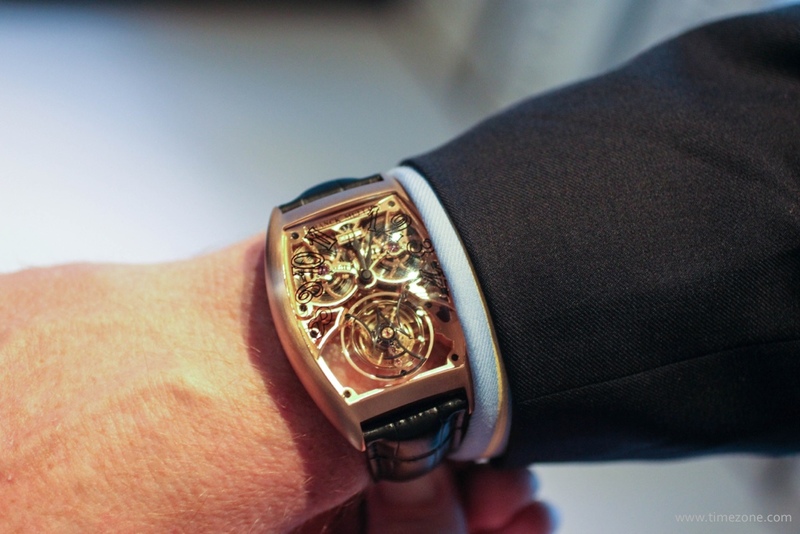 Just before dinner, Franck was receptive to just one question, "Today, are tourbillons necessary or relevant in horology?" His answer, "No, they're not. I don't make them because they're necessary. You have a cellphone for what's necessary. I make watches that you can enjoy. You can look at it, appreciate it, and enjoy it." There was a pause until, suddenly, I felt enlightened. 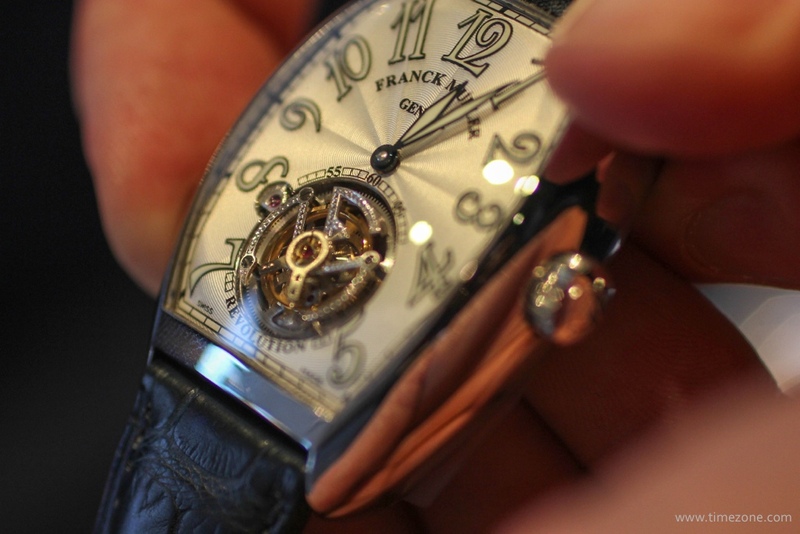 Two centuries ago, A-L Breguet invented the tourbillon out of necessity. 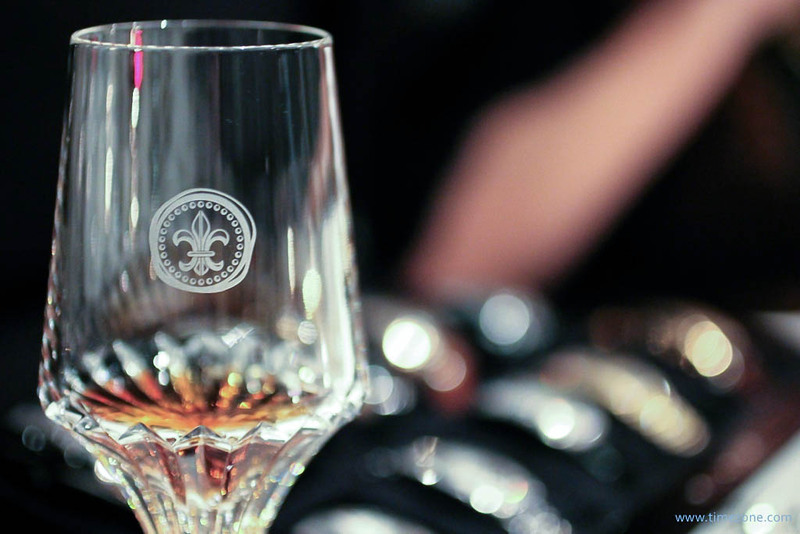 Today, the tourbillon satisfies an emotion. Perhaps Franck has seen the same expression wash over countless other faces because he sort of grinned quietly as we continued with dinner. Double Mystery with an hour disk and minute disk that rotate to indicate the time. 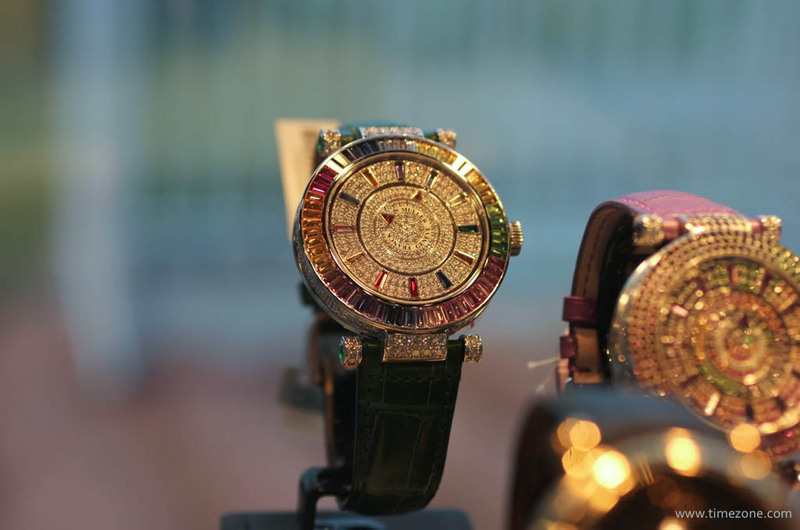 Gem-set with rubies, emeralds, sapphires and semi-precious stones. Starts at $83,000. 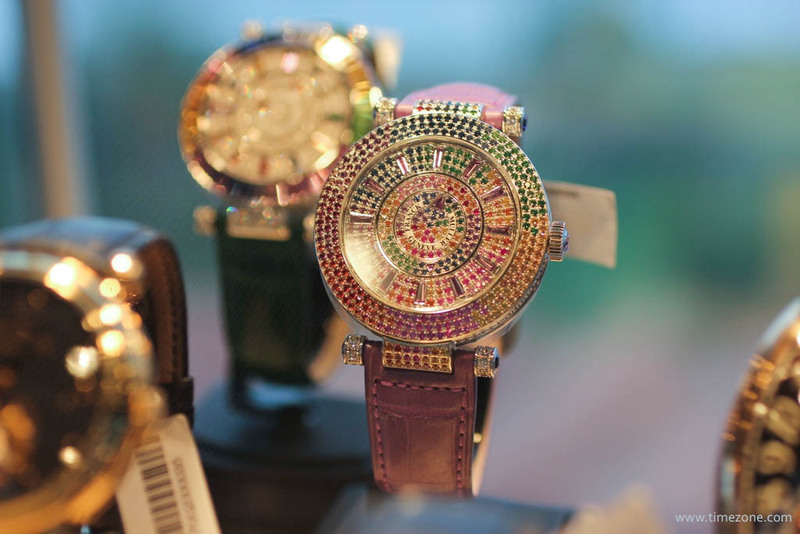 Gem-set with diamonds, rubies, emeralds, sapphires and semi-precious stones. Previous Topic: What's the longest you've gone..